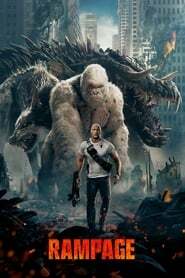 Synopsis: Primatologist Davis (Dwayne Johnson) shares an unshakable bond with George, the extraordinarily intelligent silverback gorilla who has been in his care since he was young. When a greed-fueled corporation’s genetic experiment goes awry, George and other animals across the country are mutated into aggressive supercreatures who destroy everything in their path. In this adrenaline-filled ride, Davis tries to find an antidote, not only to halt a global catastrophe but also to save the fearsome creature who was once his friend. Synopsis: A Las Vegas magician who can see into the future is pursued by FBI agents seeking to use his abilities to prevent a nuclear terrorist attack. Synopsis: Vampire death dealer, Selene (Kate Beckinsale) fights to end the eternal war between the Lycan clan and the Vampire faction that betrayed her.